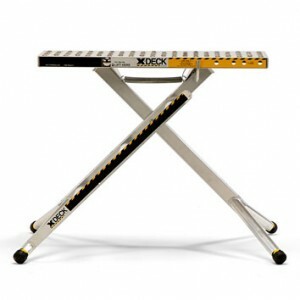 The X-Deck 3 Step is the lightest and most portable of all the X-Deck models weighing only 24 lbs. 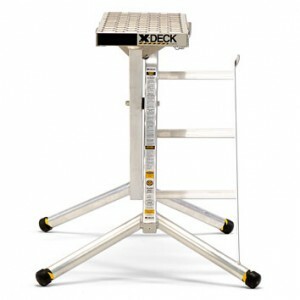 This model has a deck that is 3.6′ by 13.5″ with an active work area of over 6 feet! 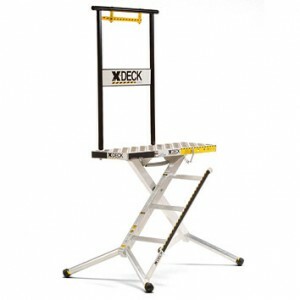 Adjusting from 18′ to just under 4′ in height makes it ideal for most applications. 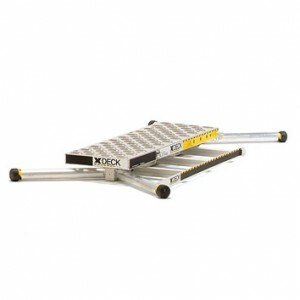 The deck’s tread pattern is aggressive and helps reduce the platform’s overall weight. When collapsed, the steps form a natural handle making it easy to carry. 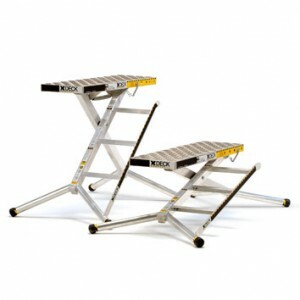 You’ll be amazed at it’s light weight, strength, stability, and safety. Take 10% off your order today if you choose the option “Pay In Full + Shipping”. Use the coupon code “SAVE” upon checkout.